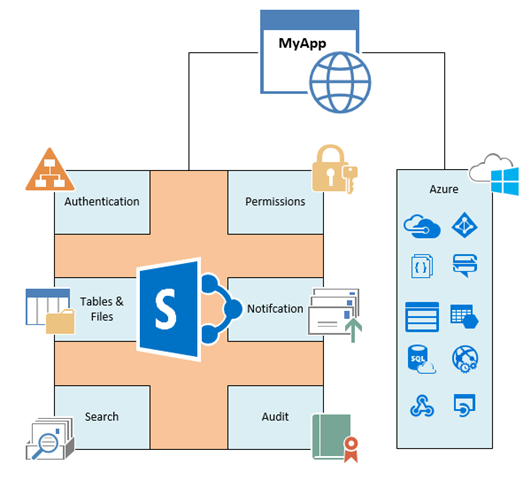 SharePoint is often treated as a final SAAS product to perform Microsoft native functions only. Management can be reluctant to engage customization and development for the perceived cost. However, what is the cost of lacking a needed business tool? Lost productivity and opportunity? What is the cost to create native SP features? Make a blank IIS website? Then create your own search, audit, permission interface, file store, REST endpoint, etc.? Remember, SharePoint is a service– not the final product. Authentication – User context. Password management, new account creation, integrated single sign-on. Notification – Alert on data changes. Daily and weekly summary. Custom email body with Workflow. Search – Index content, word parsing, custom results display, full REST api. Audit – Regulatory compliance. Reports, export, filter, and granular detail.